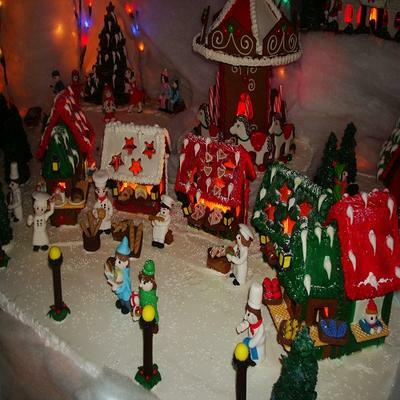 This Gingerbread Market resembles a European market filled with Christmas energy and high spirits. Figurines are made from marzipan and fondant. All is edible and hand crafted with patience and love.